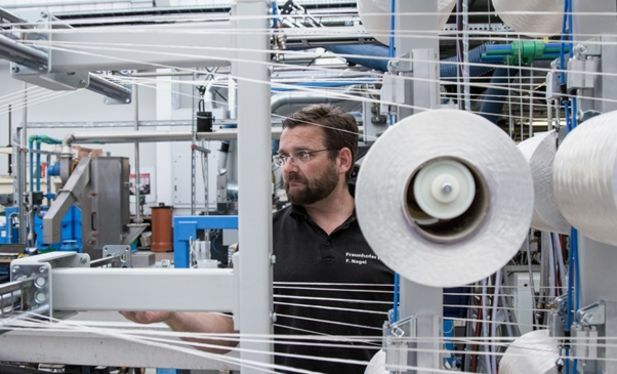 Innovative solutions for lightweight design for the mobility and logistics sector are invented with ease in Saxony-Anhalt. 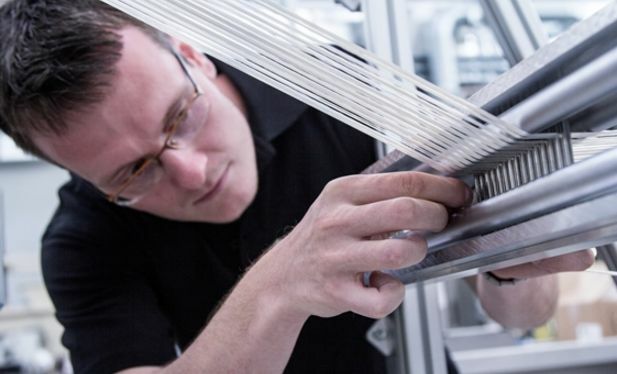 XtremeAir GmbH produces individual parts out of carbon by hand for their airplanes. SML Kunststofftechnik GmbH is ahead in manufacturing of moulded parts. At Fraunhofer PAZ researchers are working towards a future in which synthetic components can replace steel components and IFC Composite GmbH manufactures feather-light components. In Video: HERE innovations are lightly built. "No limit" is the motto of XtremeAir. In Cochstedt, the company produces the XA41 and XA42: sports aircraft made of 100% carbon. Each part of the aeroplane is made by hand. The moulded parts are laminated manually, and the components then dried, ground, coated and fitted. The result: a 610 kilogram aerobatic aircraft built on-site in Cochstedt that can fly the most incredible stunts (Unlimited Class). "But it can also simply fly straight", as works manager Steffen Zweigle assures us with a smile. "We are right at the front", says Thomas Brüsch, Director of SLM Kunststofftechnik GmbH, with a smile. 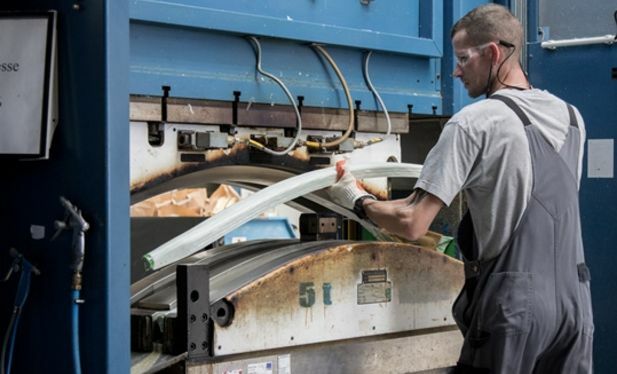 Not only are the automotive supplier's products – for example bumpers and 2K components – right at the front of the vehicles they are fitted in and to, but SLM Kunststofftechnik is also at the forefront of production in the injection moulding segment. 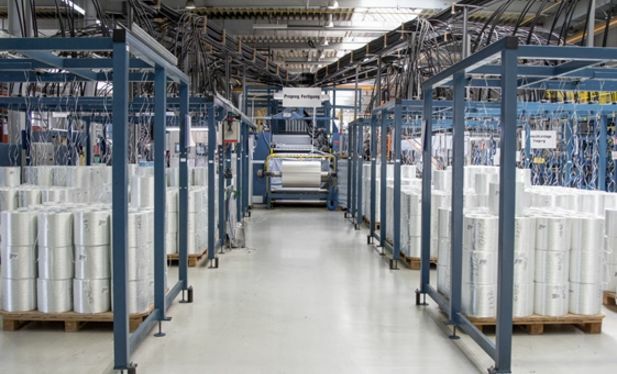 On peak days, the company produces 3500 components. Parts of a spoiler. And to make sure the company remains at the front, SLM is constantly investing in modern technology and the latest innovations, for example an ultrasonic and vibration welding plant. Often, different parts of components such as those used in the automotive industry are subject to different levels of stress and fatigue in use. Sometimes, the outer surface needs to be more flexible than the middle, but the middle has to withstand more pressure. That's not possible, is it? It is indeed, says Prof. Dr. Peter Michel, Head of Polymer Applications at the Fraunhofer Pilot Plant Centre PAZ. He and his team in Schkopau are developing just such components from synthetics. They are working towards a future in which synthetic components can replace steel components. The synthetic materials are to offer just the same – or even better – properties for given applications than steel. 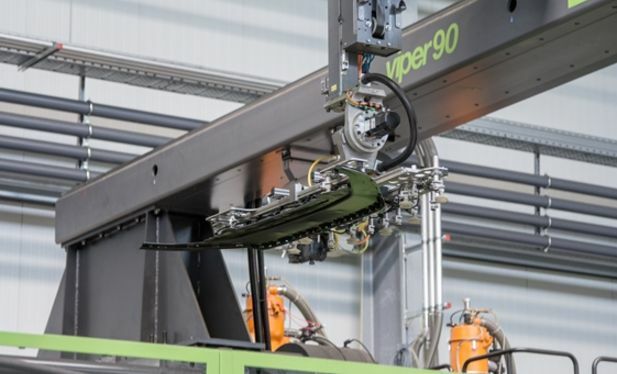 Synthetic components can be as strong and stable as steel components, as IFC Composite in Haldensleben is proving with its leaf springs, drive shafts, stabilisers and flexible discs. IFC can make large, central components and otherwise heavy parts for the automotive industry almost as light as a feather. "A standard spring weighs around 25 kilograms, and ours just 5.6", says director Felix von Nathusius. One benefit of fitting parts like this is significant savings in fuel. The lightweight components are also particularly attractive for manufacturers of electric vehicles.